There are a number of common misconceptions about the gold confiscation foisted on the American people by President Franklin Roosevelt in 1933. Most of these have been offered as justification for FDRs nefarious deed, and over time have endured to become urban legends. For example, perhaps the biggest and most enduring myth is that FDR had to confiscate gold because it was needed to back the dollar, which was still defined as 23.22 grains of fine gold, i.e., $20.67 per ounce. What the propagators of this popular myth conveniently ignore is basic math. In December 1932, the US Gold Reserve equaled 204.5 million ounces. This weight was slightly more than the reserves average weight of 202.2 million ounces from the October 1929 stock market crash through December 1932, a period that covers the worst of the depression. After FDRs election victory in November 1932, rumors began circulating that once in office, FDR would seize the peoples gold. Because of these rumors, which perhaps originated from tips by White House insiders who knew of the confiscation scheme, dollars were redeemed for gold, as was possible at the time, and much of this gold was exported or simply hidden. This point is explained in detail in Milton Friedmans The Monetary History of the United States. As a result of these redemptions of paper dollars for physical gold, the US Gold Reserve dropped to 193.3 million ounces by FDRs inauguration in March 1933. With the confiscation thereafter in place, the outflows stopped, and the reserve began to grow with the metal collected from the confiscation. The reserve reached 195.1 million ounces in January 1934 when FDR re-defined the dollar as only 13.71 grains. It was a 41% devaluation of the dollar, which meant that it thereafter took $35 to exchange for one ounce of gold. So here is the math. At $35, the 195.1 million ounces in the US Gold Reserve in January 1934 equaled $6.83 billion of gold backing for the dollar. Gold was now overvalued in dollar terms, as evidenced by the rapid flow of gold into the US Gold Reserve, which in the first month rose to 212.5 million ounces. But the bonanza for gold holders did not stop there. People continued to exchange their overvalued gold for dollars, with the result that the US Gold Reserve reached a new all-time record high of 227.9 million ounces only six months later in August 1934. From these huge gold-flows into the reserve, it is clear that valuing the gold reserve at $6.83 billion was high enough to re-establish confidence in the dollar. Therefore, if we divide this value by the 193.3 million ounces in the reserve before the confiscation, we can conclude that a devaluation of the dollar to $35.33 per ounce would have achieved the same $6.83 billion valuation necessary to re-establish confidence in the dollar, but it would have done so without any confiscation. So clearly, notwithstanding the enduring myth, FDR really did not need the weight of gold collected from the confiscation to re-establish confidence in the dollar. Simply devaluing the dollar by a slightly greater amount would have achieved the same objective. So why did FDR confiscate gold? 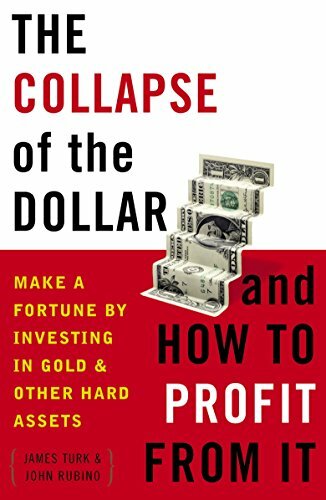 In our book, The Collapse of the Dollar, John Rubino and I provided an answer, but it wasnt an explanation that we developed. Rather, the answer came from Alan Greenspans 1966 essay entitled Gold and Economic Freedom. So it seems clear to me that FDR confiscated Americans gold for the same reason Lenin confiscated it in Russia and Hitler confiscated it in Germany, namely, to get it out of the hands of the people. This point is made clear in a wonderful speech given in 1948 by Howard Buffett, the father of Wall Street legend Warren Buffett, entitled Human Freedom Rests on Gold Redeemable Money. A thorough reading of Buffetts thoughtful speech will help clear the myths and explain the reality of gold confiscation. Reprinted from the Free Gold Money Report. James Turk is founder and chairman of GoldMoney, which provides a convenient and economical way to buy and sell gold, silver and platinum online using the digital gold currency for which he was awarded four US patents. He has specialized in international banking, finance and investments since graduating in 1969 from George Washington University with a B.A. degree in International Economics. He moved to the United Arab Emirates in December 1983 to be appointed Manager of the Commodity Department of the Abu Dhabi Investment Authority, a position he held until resigning in 1987 to begin FGMR. He has written several monographs on money and banking and is the co-author of The Collapse of the Dollar. Crony Capitalism Infecting Medical Research?